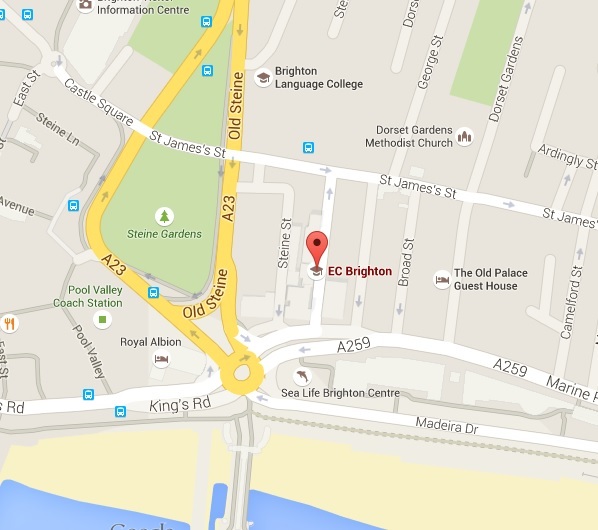 I came to EC Brighton to improve my English because it is near London and it's by the seaside. I really enjoyed the friendship I made with my host family. They were very nice and friendly. My lessons were good and my teachers were excellent. My name is Charlotte Goodyear and I have been working at EC Brighton for almost two years as a teacher. The thing I love most about this job is meeting new people from different cultures and learning about their countries. I am hugely embarrassed to say that I was nominated as the best teacher of the year 2012 by my colleagues, so I guess I must be doing something right. Come and make some new friends. Meet in the student lounge. Pronunciation clinic at 18:15. Practice your pronunciation! Departing 15:15. Guaranteed ticket to a West End show. Details in reception. Visit Brighton's famous landmark. Discounted tickets available. Visit the beautiful English countryside and coast. Visit the traditional town of Lewes and see its famous castle. A great trip to the West of England.